The Academy of Sciences Malaysia (ASM) came into force on 1 February 1995 and was established under the Academy of Sciences Act 1994. ASM performs an unparalleled service by bringing together experts in all areas of scientific and technological endeavour to address critical national issues relating to Science, Engineering, Technology and Innovation as well as to provide strategic STI input to the government. 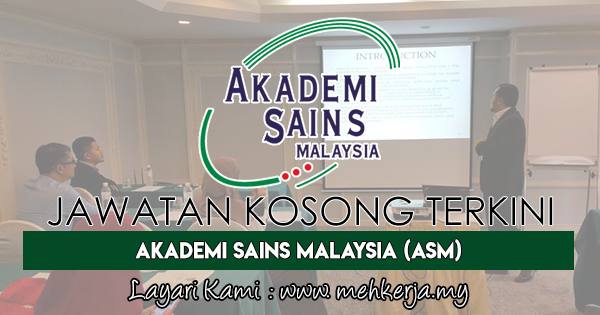 0 Response to "Jawatan Kosong Terkini di Akademi Sains Malaysia (ASM) - 28 September 2018"